High neck blouses are totally in trend these days for women of all ages. They aren’t revealing and that’s why most people find this style easy to wear. In case you do not like deep neck blouses, high neck blouses are your best friend and will help you make a strong style statement. Fashion designers are coming up with exceptionally appealing high neck blouses designs which are loved by both women and young girls. 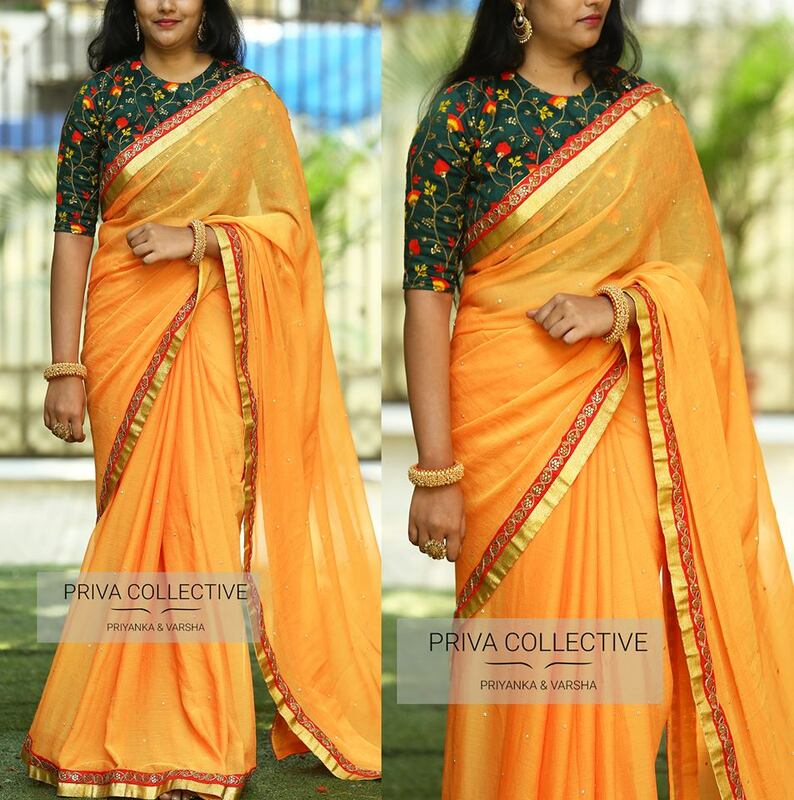 Do you love wearing silk saree but don’t know how to style them? Spruce up with saree and look like a poised diva in your upcoming events. 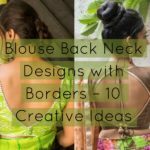 Take a look at the below mentioned high neck blouse styles and we are sure you won’t be able to resist getting a few for yourself. Today, nobody is content with just one or two styles of blouses. Below are the collection of high neck blouses with various styles and textures that will be more apt to wear with silk sarees. Up your stake and let the stunning vibes take over with this full sequins high neck blouse. We agree not everyone will be willing to pull this off but if you do, you are sure to grab attention. Just pair this with a plain saree, allowing the blouse to do all the talking. You don’t even have to wear any jewelry. People can’t help but gaze at your stunning look. 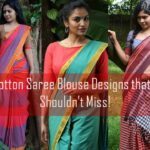 In the event that you are searching for the trendy blouse design to wear with your silk saree, it is right here before you. The cutout detailing is just so stunning and exposes just the right amount of skin. The gold work only adds up to the glam quotient of the blouse. 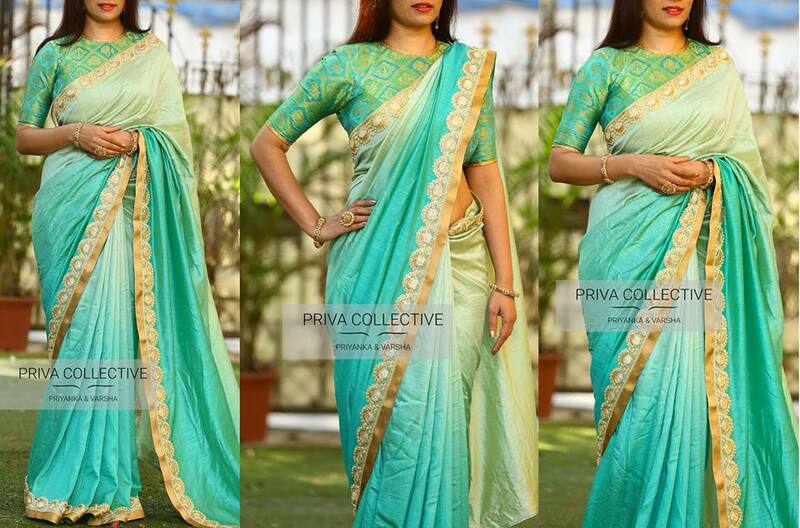 You can pair this with any contrasting saree to coordinate well. This saree is likewise having an awesome vibe. This floral print blouse turns out to be one of the most wonderful designs of high neck blouses. Floral designs are never out of fashion. They are extremely feminine and elegant. Since the base of this elbow length high neck blouse is light colored, it will look extremely well with any of the bright colors like pink or green. In the event that you are going for any casual day event, this specific high neck sleeveless blouse with cutout design will be a perfect choice. Nowadays, self print high neck blouse is having an extraordinary prominence in the market. This blouse is simple yet extremely appealing. The woman wearing aqua colored self print high neck blouse looks extremely elegant. You can wear the blouse for any event. Indeed, even a plain saree will go well with this blouse. Cape sleeves cut out blouses are extremely modern and trendy. A cape sleeve is a heartening point of interest than a regular sleeve – however, it is an incredible looking detail to what might otherwise be a basic blouse. Swagger in royalty with a slash of effervesce and a dab of flawlessness in this gorgeous high netted blouse. The sheer net detail along with amazing color and intricate design are sufficient to charm us. Glam up any function, when you walk in wearing this modern blouse design. Don’t be surprised when you receive tons of compliments. This design is quite unique. The Jhumka pattern blouse will look good with just about any saree because of its black color. We all love wearing black, don’t we? This design offered a traditional touch to any saree. The stunning red close neck blouse as depicted in this photo is extremely incredible. There are beautiful designs all over the blouse. However, the brilliant green silk saree makes an extraordinary style statement with this red blouse. 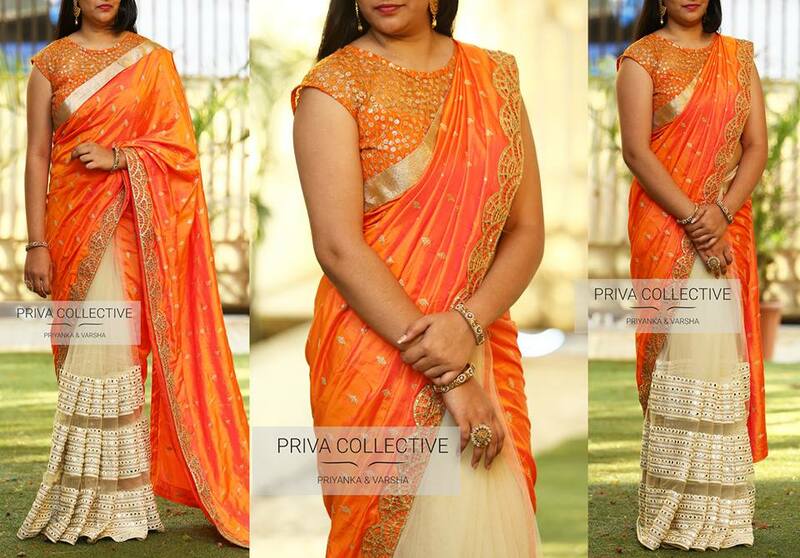 You can wear this blouse with any of contrasting saree and it is sure to grab attention. The close neck line makes it more appealing. The best part about such neck line is that you don’t have to wear a neck piece. Boat neck blouses are really popular these days. Truly, it is a unique neck design with elbow length sleeves. It is having floral embroidery design all over it. The saree and blouse are complementing each really well. This is one such high neck blouse design that looks extremely basic yet appealing. You will remain extremely distinctive among the crowd in the event that you wear this. This floral embroidered close neck blouse design has become extremely trendy. With this close neckline, you may pick full or half sleeves. You should wear a simple saree of contrasting shade with this floral blouse. The overall look will unquestionably turn out to be exceptionally fascinating. You can put on this kind of blouse on any occasion. Some ladies also like to wear it with a sleeveless design. Just wear a pair of stunning earring and you’re good to go. Embrace your style with this floral print blouse with cut out sleeves high neck blouse. This cut out blouse with floral work will notch up your fashion quotient while also giving you comfort. In this way, play your fashion cards right and wear this stylish blouse to strike an enduring impression. This is a stunning blouse design that you must have in your wardrobe. The woman is wearing a unique heavy neck embroidered blouse with high neck. 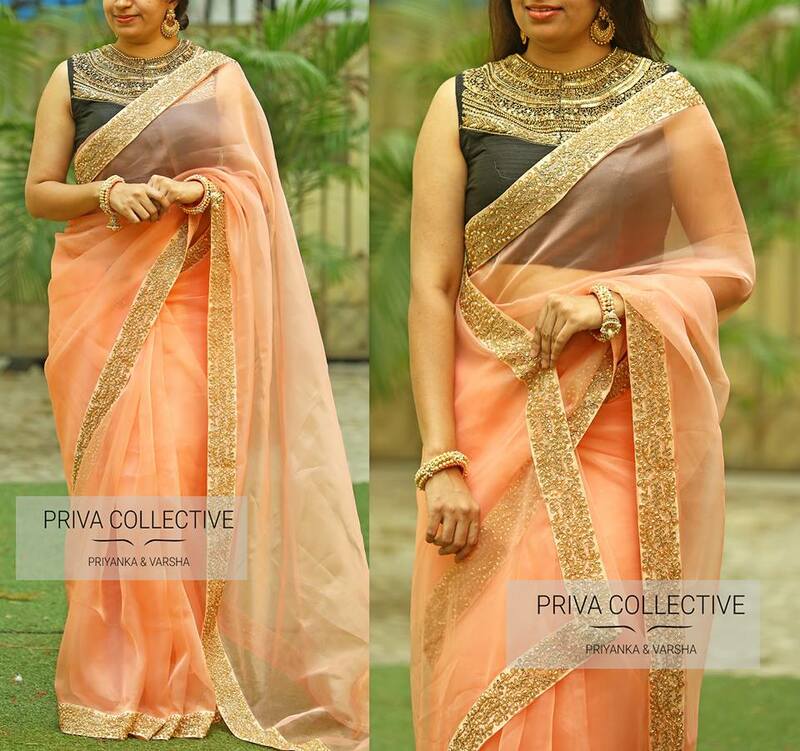 The light colored saree with embroidered border makes the black blouse look even more beautiful. So go ahead and wear these stunning high neck blouse designs with your traditional silk sarees. High blouses change the entire look of the saree, you will be stunned when you pair them up with your existing sarees. In case if you like to shop the above featured sarees and blouses, then do check the label below for inquiries.